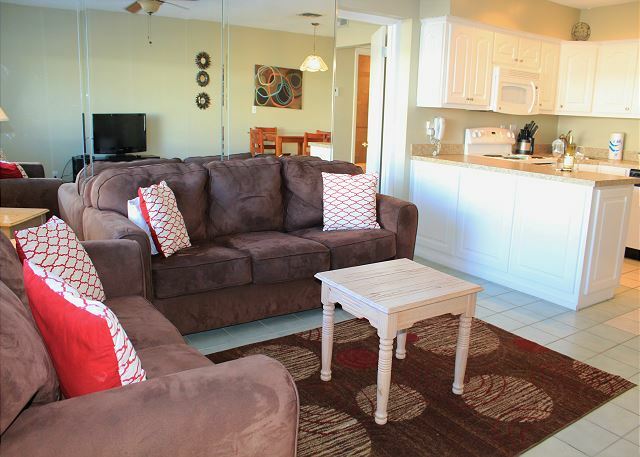 Just steps away from the west deck, you can have your toes in the sand in just a few seconds from leaving your condo. 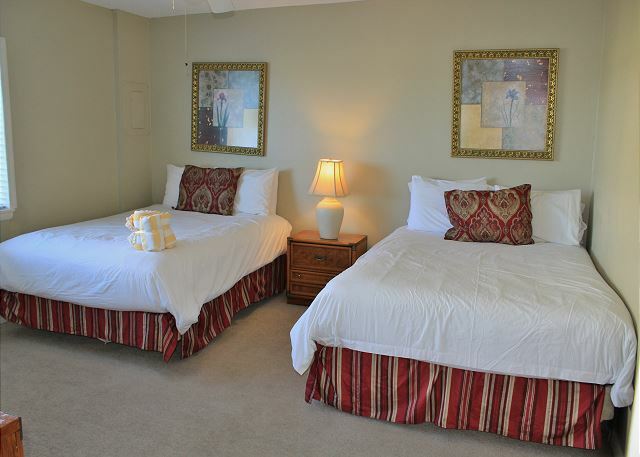 This unit comfortably sleeps 6 and is the perfect getaway spot for couples or families. We will definitely be back. Nice place for what we needed. All the staff were very friendly and very helpful! Thank you for your review for Capri by the Gulf #114. We are pleased to know that you all enjoyed your stay so much that we can look forward to welcoming you back again for another stay with us! We hope all was well for you and your family when you returned back home. Thank you for choosing Harmony Beach Vacations! This property truly is beach side. I wasn’t sure from the pictures posted and the price. I couldn’t believe something so cheap would be beach side. And the property was great. It served its purpose which was giving us a comfortable place to sleep and a great kitchen to cook in. There was also a grill outside that we could cookout on as well as a patio area to eat or relax and enjoy the ocean view. We will definitely stay here again. Thank you for sharing your review for Capri by the Gulf #114. 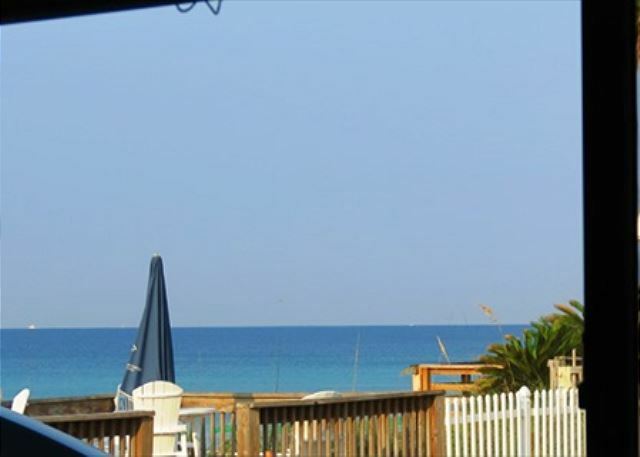 We are very pleased to hear that you all had a wonderful stay in this beautiful beach condo and that you so enjoyed the great features of the home, such as the access to the Gulf right outside the front door, the kitchen, the community grills, the view, the patio, and the great rate! We look forward to welcoming you all back again soon as our guests for another wonderful beach vacation stay with us here at the Capri in Destin, FL! We've been vacationing with HBV at Capri by the Gulf for years. It is simple, no-fuss, beach front living at it's best! Every unit is beach front. It's clean and we've had great customer service. Thank you for sharing your review for Capri by the Gulf #114. We very much appreciate having you all as our guests over the years and we're pleased to know that you all had another happy beach vacation stay here at the Capri! We hope to see you all back again real soon as our guests here in beautiful Destin, FL! This was our first time to stay at capri, we really liked it being on the beach side and also the beach service was great. My only problem was the kitchen is in need of frying pans and the springs in the sofa was really bad. The condo was very clean nice linens and harmony is a great place to rent from. We will stay here again. Thank you for sharing your review for Capri by the Gulf #114. We are so pleased to hear that you all had a great girls week here at the beach, and that you so enjoyed the free beach service! We apologize about any lack of pans. We hope you were able to let our onsite office know so that we could get you some. Thank you for the feedback about the furniture as well. 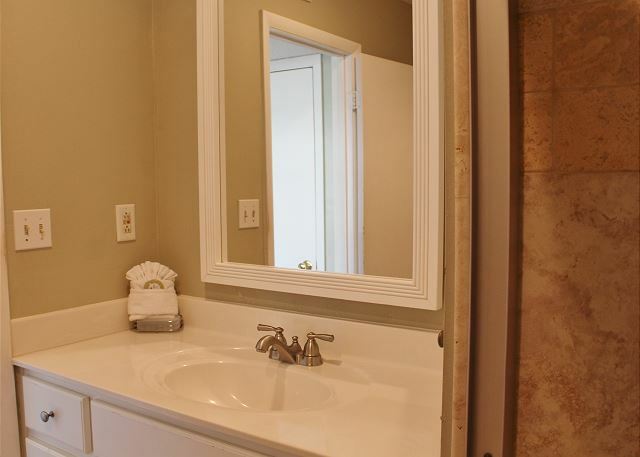 We do share our guests' comments with homeowners for them to consider when making updates. 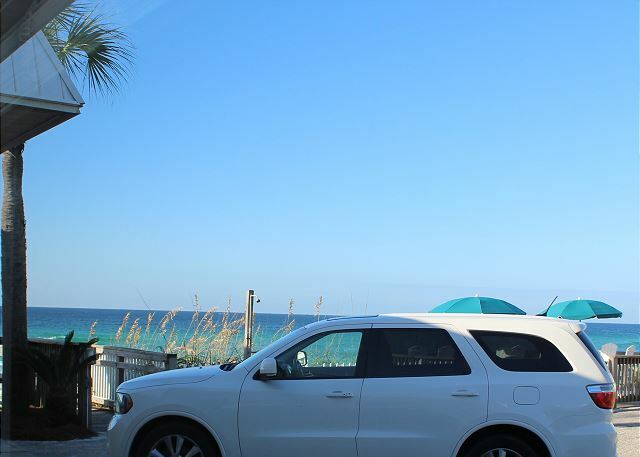 We hope to be welcoming you all back again real soon as our guests at the beach here in beautiful Destin, FL! Location, location, location! Capri 114 is literally steps from the beach. The unit was very clean and the Capri property as a whole was quiet. I understand the difficulties in accommodating every traveler's personal preference for comfort. This being said, the bed was extraordinarily firm and the sofa was a bit uncomfortable to sit on. Outside of that we were right on the beach and loved having direct access to the ocean. 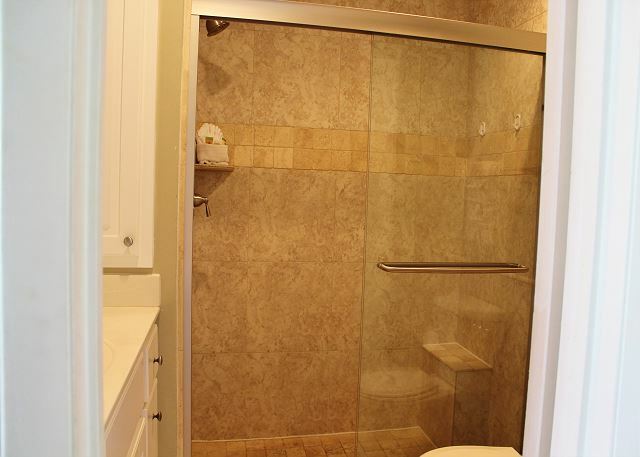 The unit was very clean and as described. Harmony Beach Vacations management was a pleasure to deal with from beginning to the end of the rental process. I would definitely stay at Capri 114 again! Thank you for sharing your review for Capri by the Gulf #114. 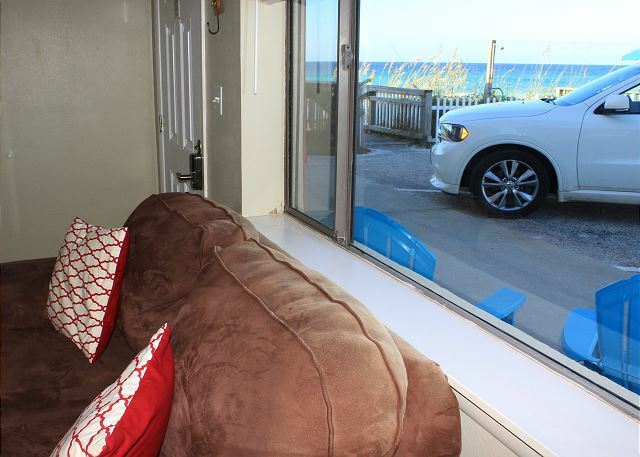 We are so delighted to hear that you all had such a wonderful stay with us at the Beach and that you enjoyed being so close to the Gulf of Mexico in this Beach Condo! We are sorry to hear that you didn't find the bed and sofa completely comfortable. We do share our guests' feedback with homeowners for them to consider when making updates to their vacation homes. We would be happy to share any details of updates with you when booking your next stay. We thank you for your kind words for our team, and we enjoyed working with you as well! We hope to see you all back again soon here at the Capri in Destin! we stay with Harmony regulary and are always satisfied. The units are always clean and confortable. The management always treats us very well and are also very accomadating. Thank you for sharing your review of Capri by the Gulf #114. 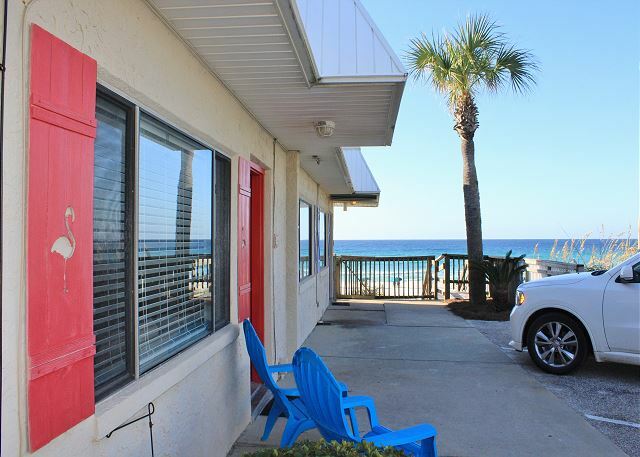 We are so pleased to know that you all had such a great week in this beautiful Beach condo and that your stays with us in the past have been pleasant for you all as well! We so appreciate having you all as our guests over the years! We hope to be welcoming you back again soon as our guests here on the Emerald Coast of Florida! Thank you for sharing your review for Capri by the Gulf #114. We appreciate having you as our guests at Capri by the Gulf and we are delighted to know that you so enjoyed this beautiful Beach Condo! We hope to be welcoming you all back soon for another wonderful Beach Vacation stay here at the Capri in beautiful Destin, FL! Thank you for sharing your review for Capri by the Gulf #114. We are absolutely thrilled to hear that you had the best vacation ever! 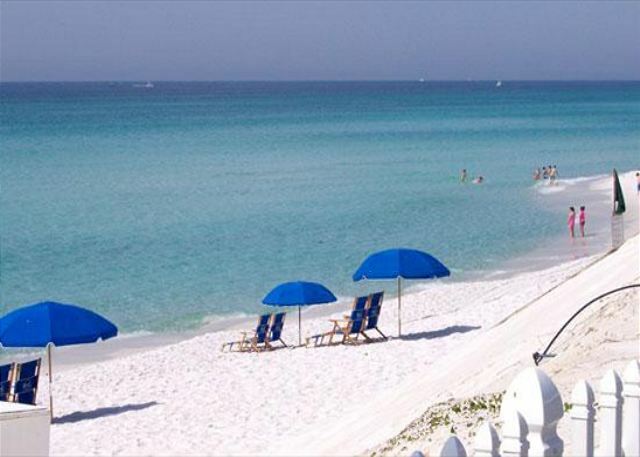 We would love to welcome you back soon for another perfect beach vacation here at the Capri in Destin! We really enjoyed our stay at the Capri by the Gulf. It was a beautiful condo and surroundings. 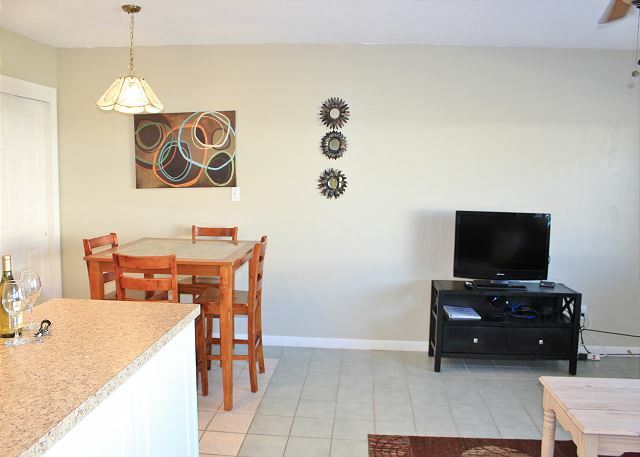 The condo was very clean and well maintained. It had everything we needed. The staff was very friendly. We plan on returning next year. Thank you for sharing your review for Capri by the Gulf #114. We are so pleased to know that you all had an awesome vacation and that you really enjoyed your stay at Capri by the Gulf! We very much appreciate having you as our guests and we're delighted we were able to offer you friendly service. We would love to welcome you all back soon as our guests in Destin, FL! I have always enjoyed my stay here. This unit is Great as is all the Capri units. Peace and quiet with the beach and water at your doorsteps. 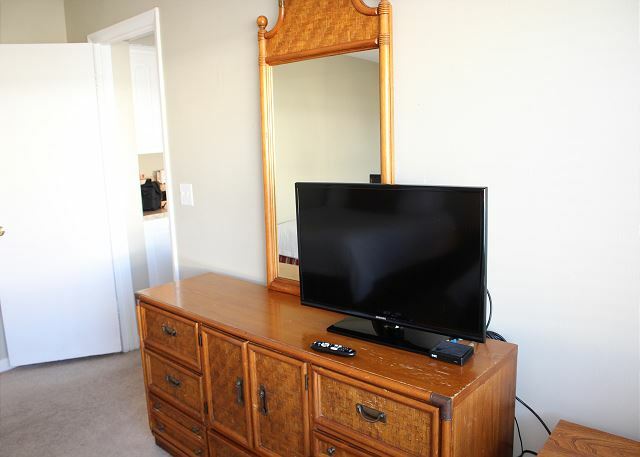 Nice furnishings, new Flat screens, always clean. Thank you for sharing your review for Capri by the Gulf #114. We appreciate having you as our guest again at the Capri and we're so glad to know that you always enjoy your stay with us! 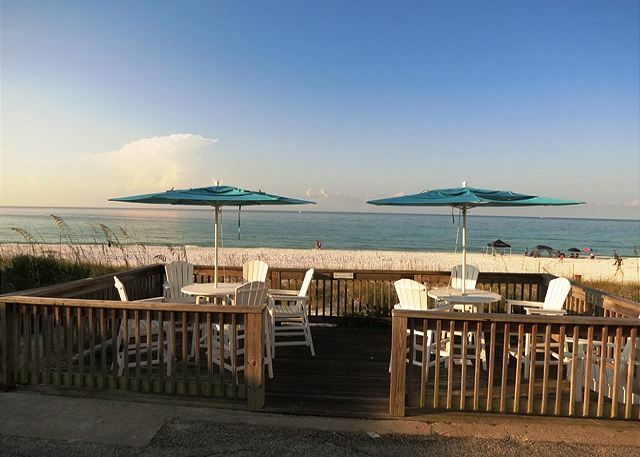 We look forward to having you back again soon as our guest at the beach in Destin! We had a nice, relaxing time. The location of the condo is great. Property management was friendly and helpful. My only complaint is that the condo was lacking enough dishes, and what was available was in poor condition. Thank you for sharing your review for Capri #114. 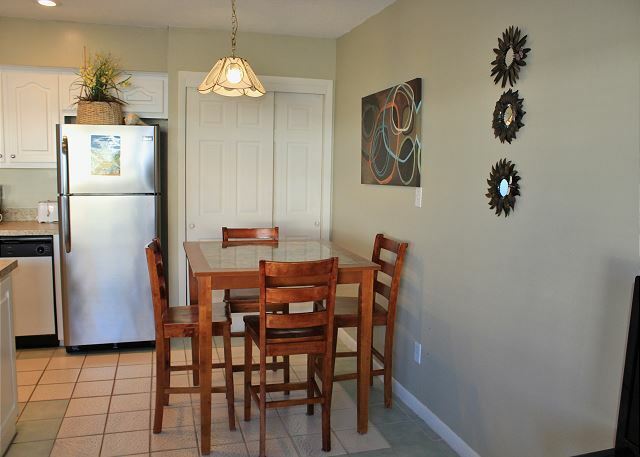 We are so happy to hear that you all had a nice relaxing stay with us and that you enjoyed this beautiful condo! We thank you for your feedback, and we hope that you were able to let our onsite office know that you needed dishes, we are always available and happy to assist with such things. 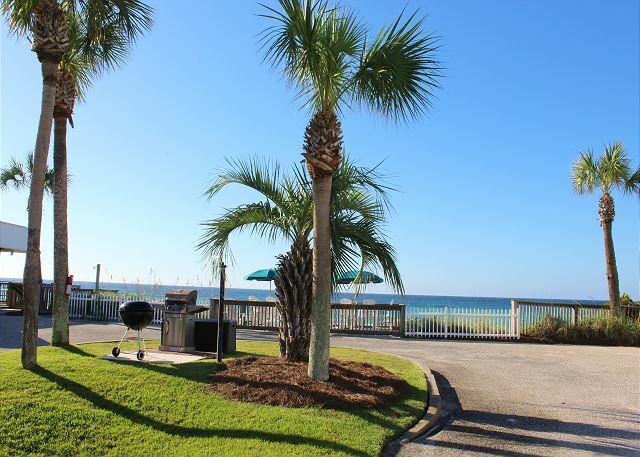 We hope to welcome you all back soon for another wonderful Beach Vacation stay with us here in beautiful Destin, FL! We love these quiet little condos. East access to the beach, gated so you feel safe. More private than the large high rise condos. Could use new carpet and a more comfy bed, but overall we had a great vacation. Everything we needed was provided and the staff was very friendly. Thank you for sharing your review for Capri by the Gulf #114. We are so pleased to know that you all had a great stay with us. We hope to welcome you back soon for another relaxing stay with us at the Capri! As usual, we had a great experience with Harmony Beach Vacations and our stay at Capri. The room is always clean and they addressed any needs we had. Loved it! Thank you for taking the time to share your review for Capri by the Gulf #114. We appreciate having you all as our guests and we are so happy to know that you all had another wonderful stay with us! We hope to have you all back soon as our guests at the Beach in Destin, FL! We arrived very early on our check in day but the office staff was very friendly. While we were not able to check in, they did let us have access to the beach which we enjoyed after a quick lunch. We had a couple of small issues, but those were fixed very quickly. The coffee pot was not working properly and a light bulb was out. We notified the office mid-morning regarding both issues and had a brand new coffee pot, along with a light bulb early that afternoon. This is our second year to stay at the Capri, having a different unit each time. We will definitely stay there again! Thank you for sharing your review for Capri by the Gulf #114. 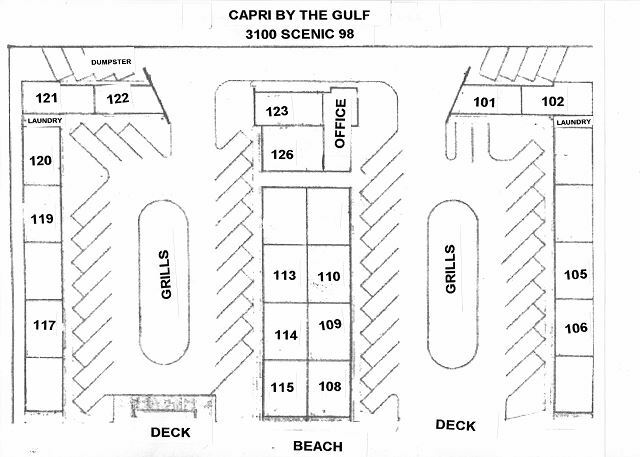 We are so pleased to hear that you all enjoyed your vacation stay with us at Capri by the Gulf #114 and that you were able to enjoy the beach and area prior to check in time. We appreciate having you all as our guests and we would be delighted to have you all back soon as our guests in Destin, FL! Great time for a family get together. Feels like home but with private beach access. Who could ask for more! Thank you for sharing your review. We appreciate having you and your family as our guests at Capri by the Gulf and we're very happy to hear that you all had a fantastic time for your family get together! We would love to welcome you all back soon as our guests in Destin, FL! Very good. We already had a rental property and was arriving a day early. They went out if their way to get us another rental and made the transition very smooth. Thank you for sharing your review. 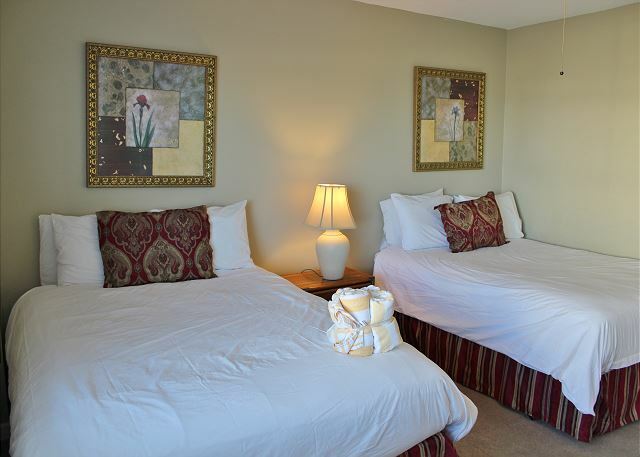 We appreciate having you as our guests and we're happy that we were able to accommodate you for your early arrival. We hope to have you back soon as our guests in Destin! Quiet, clean, up to date condos with a gorgeous private beach. They also have beach chair service that is included in the package! Thank you for sharing your review for Capri by the Gulf. We are so pleased to hear that you all enjoyed your stay with us and that you appreciated the complimentary Beach Service! We hope to have you back very soon as our guests at the Beach! The Great Escape from cold and snow. We enjoyed our stay so much, we're looking forward to a longer stay next winter! The Capri is in the perfect location, right on the beautiful beach,but only minutes from shopping or some really great places to eat. We really enjoyed all of the "snow bird" specials! We also made some great new friends , not only the other snow birds, but the helpful, friendly Capri staff. Can hardly wait to get back to our "other" home!!! 49 years ago, my husband and I spent our honeymoon at Capri by the sea in Destin Florida. It was nothing more than a little medium classed motel but, as it turned out, it was the best choice that could've been made for our family. We came every summer for 20 years there after with our two children. We have come many times since then by ourselves. This last three night stay was one for the memory book for us. Thank you for remaking Capri by the sea into Capri by the Gulf and providing such a wonderful place for people to enjoy. Thank you for sharing your review and your wonderful story of your family staying at the Capri!! We are so pleased that you all continue to stay at the Capri and we are very happy to be part of the precious memories! We hope to have you and your family back very soon at Capri by the Gulf! 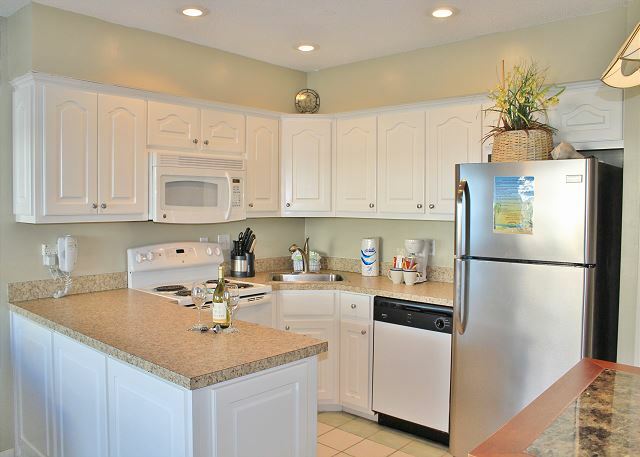 Very nice unit with direct beach access. I think the couch needs replacement or something done to it. The unit could also use a larger flat-screen TV. nice unit and so close to the water. Thank you for sharing your review and suggestions. Our homeowners appreciate the feedback of our guests when considering updates. We're so happy that you all enjoyed your stay with us and we welcome back as our guests anytime! Thank you for sharing your review. We are so pleased that you all enjoyed your stay with us and we welcome you back as our guests anytime! Thank you for sharing your review. We are so pleased that you enjoyed your stay with us and we hope to have you back soon as our guests on the Emerald Coast! The vacation overall was great. Perfect weather and seas. Thank you for sharing your review. We appreciate having you as our guests and we hope to have you back soon as our guests in Destin! We had a great stay in Capri 114. The office staff was spectacular as always, and the unit was clean and well equipped. The proximity to the beach is a big plus. Capri is the best! Thank you for sharing your kind review. We are so delighted that you all enjoyed your stay and we would love to have you back at the Capri soon! Thank you for sharing your review. We are delighted that you enjoyed your stay with us and we hope to have you back soon as our guests on the Emerald Coast! Overall the stay was great. The only complaint I have is that we rented #114 expecting that it slept 6 people, but the pull out couch was a joke. There are no springs left on the bottom, so no one could sleep on it. Luckily it was being used by kids, so they just made a pallet on the floor with the mattress and couch cushions. Outdoor grill was convenient too. Thank you for sharing your review. We are so pleased that you all enjoyed your stay! We are so sorry to hear that you didn't find the sofa bed comfortable and we do share the input of the guests with the homeowner as they too appreciate hearing what the guests have to say. We hope to have you back soon as our guests in Destin! Thank you for sharing your review. We are glad you all enjoyed your stay and we hope to have you back as our guests soon! We really enjoyed our stay. The room was clean, comfortable and right on the beach. We plan on using them again. Minor problem: not cool enough for sleeping comfortably. Thank you for sharing your review. We apologize for the a/c not being cool enough and we would have been more than happy to come by and adjust it as needed to make you comfortable. We are glad you all enjoyed your stay and we hope to have you back as our guests soon! We love the Capri. The past few years a woman checked us in and was very helpful. The young man that was at the front desk this years was too busy on the phone to be helpful. I was disappointed. We loved our stay despite that though and will be back. For 10 years my experience at the Capri has been wonderful. Great Staff and Management. However, The Beach Service is horrible. The service has turned a marked Private Beach to a free for all. The Service is rude and practically nonexistent. Call me if you need more information. Thank you for your review. We appreciate your feedback as our valued guest. So very sorry you had a bad experience with the beach attendant(s). We always encourage our guests to let us know if they have any problems during their stay as soon as possible so that we can handle the situation immediately. We hope to have you back as our guests at the Capri soon! Thank you for sharing your review. We're so glad you enjoyed your stay! Great - only two complaints. The vertical blinds need replacing and the bedroom carpet needs replacing badly. The unit was wonderful and very nice. The only issue we had was that the mattress on the couch was bad and needed to be replaced. Luckily, we still had an inflatable mattress in our car that we were able to use. The family had a great time here and we plan to return next year for a longer stay. I have stayed at Capri for three years in a row. I love the resort and location. The staff are always friendly. My condo is always very clean. We travel with 4-6 family's each year and every has loved staying at the Capri. We highly recomend it to other families if you are looking for a low key, relaxing, beautiful getaway, then Capri is your place.